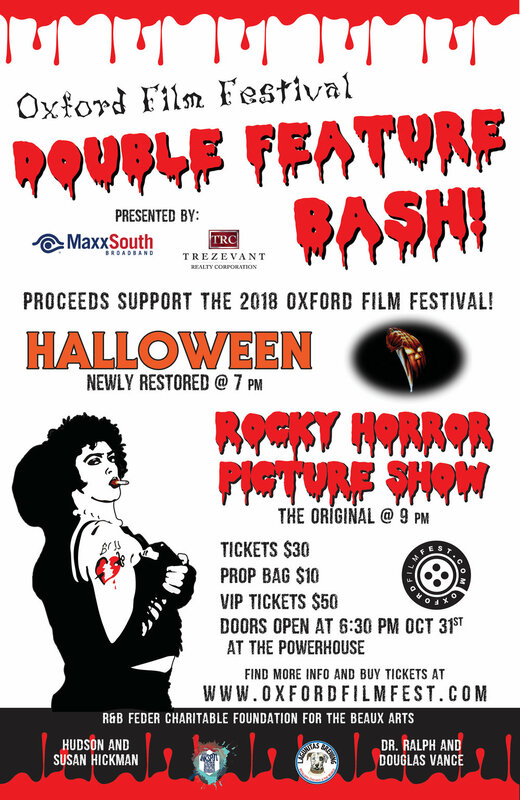 Oxford Film Festival Double Feature Bash! Proceeds go to support the 2018 Oxford Film Festival! Costumes encouraged! We will provide the tricks and the treats! VIPs have reserved seats in theater and also a private party room!